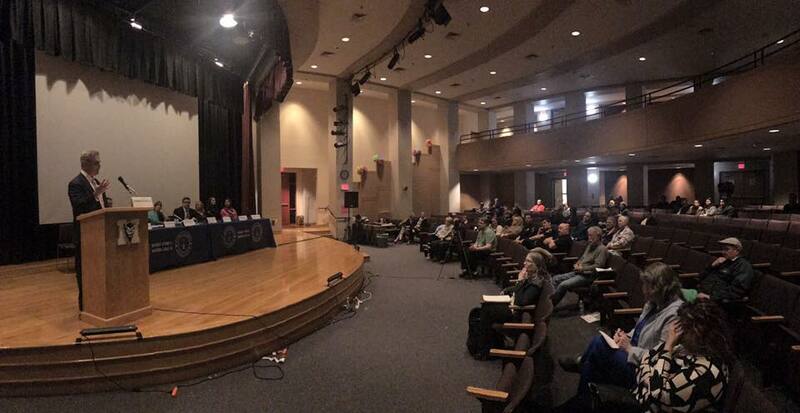 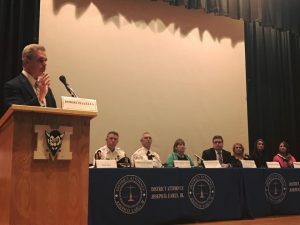 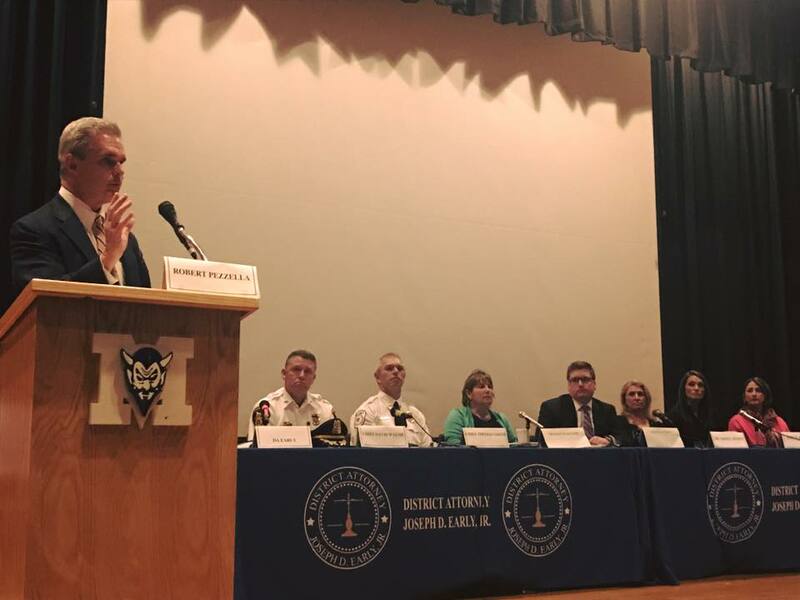 District Attorney Early delivering opening remarks before a panel discussion that included Sen. Anne Gobi, State Rep. Jon Zlotnik, Winchendon Police Chief David Walsh, Winchendon Fire Chief Thomas Smiths and other representatives from the medical and recovery communities, including from Learn to Cope. 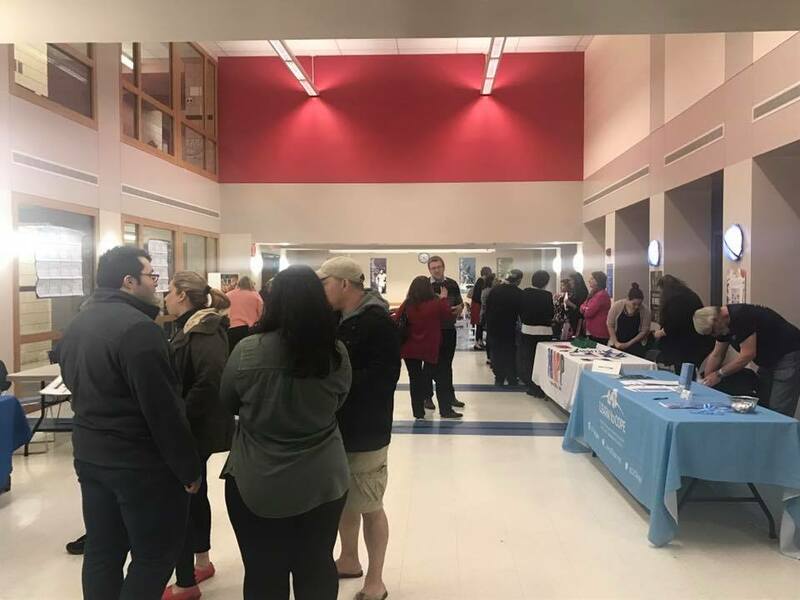 About 50 people attended the Winchendon forum. 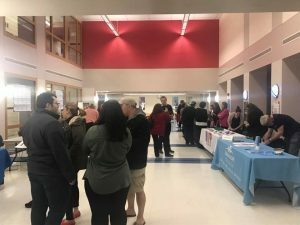 Resource tables offered information to attendees before the forum. 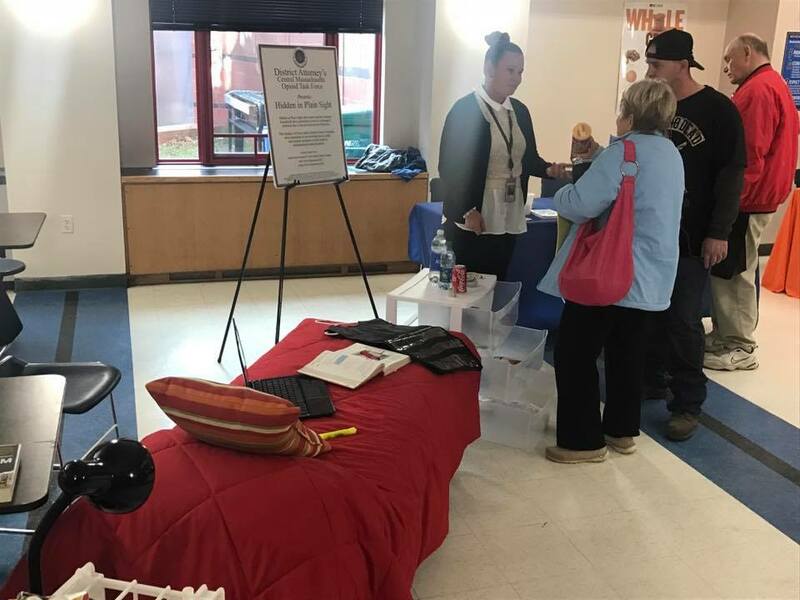 Jill Wooldridge, from the District Attorney’s Community Outreach Team, explains the Hidden in Plain Sight display.